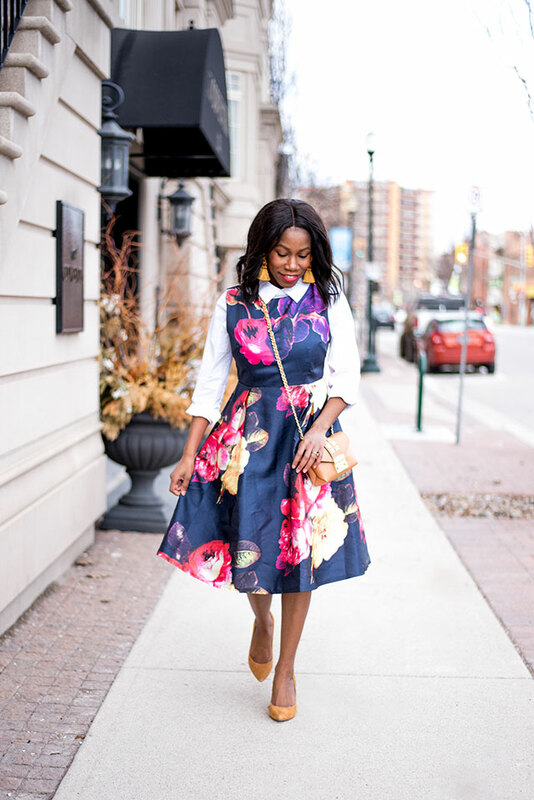 This floral midi dress is giving me some serious flower power and was a perfect fit for the past Easter events. I decided to layer a white collared shirt underneath the dress because of the chilly weather rather than wearing the dress on it’s own. I loved the layered look. 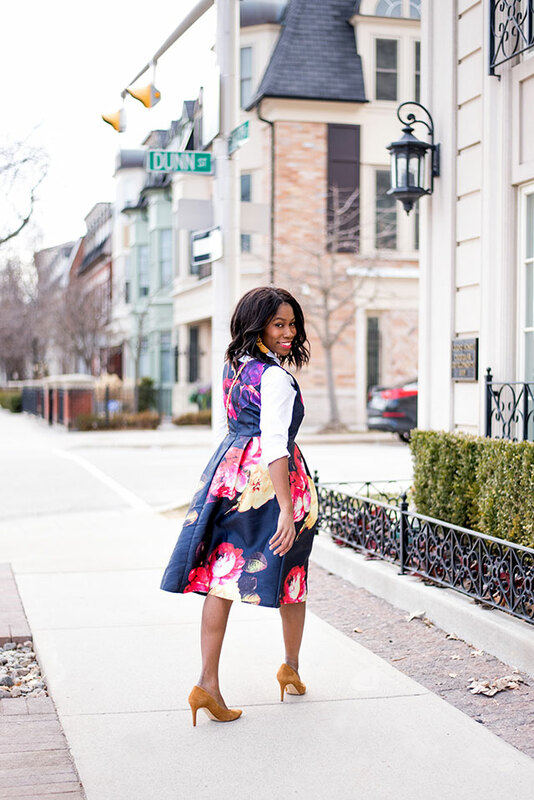 Shop some of my favorite floral midi dresses below. Which one is your favorite? You are gorgeous and I love the dress and HEELS! So beautiful!! Aww thank you so much for visiting. What gorgeous dresses!! love the white one! they are so simple and elegant! Love the dress! Navy is my go-to color and the floral makes it so fun! 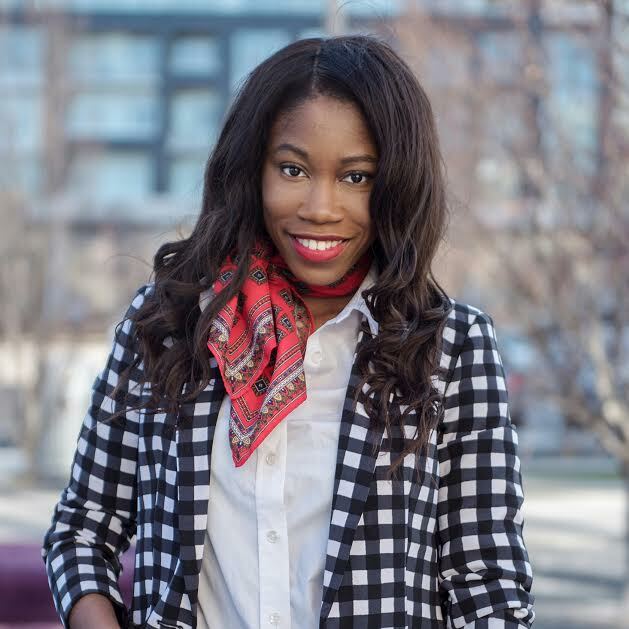 Totally love this look and Im inspired to do my own version of it. I LOVE LOVE this outfit and your style. Wonderful pairing of the earrings to the dress as well! That is a beautiful outfit, something good to share with my friends. 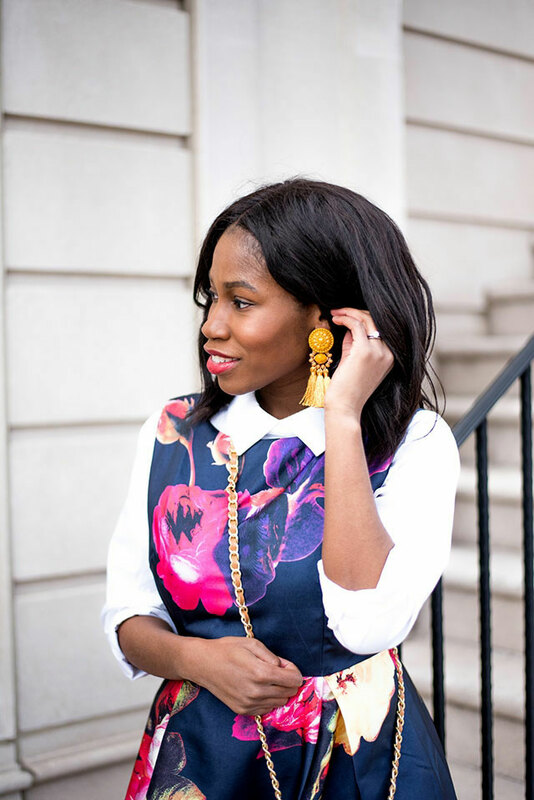 I like the idea of layering a white collared shirt with a floral dress! Thanks for the idea! I love that dress!! 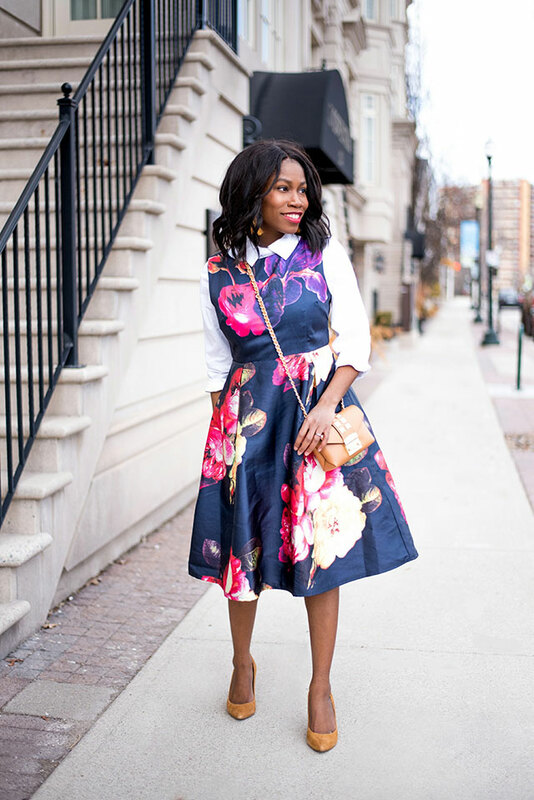 I am super into floral prints right now!